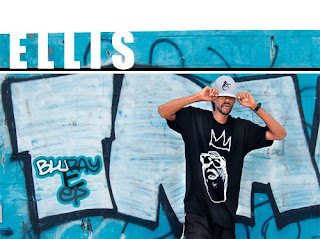 Ellis is an Emcee born and raised in Baltimore, Maryland. With a strong passion for music early on, he came together with his long time friend and Producing partner Legin and decided to come together to pursue his emerging talent creating music in 2007. With flawless lyrical talent Ellis was ready to take his creativity to new heights with his debut MIXTAPE: THE ESSENCE. As he seeks to land a record deal bringing his Bmore sound to the forefront with a 1995 inspired hip-hop style. Ellis is focused on taking command with his second coming THE BLURAY E LP.